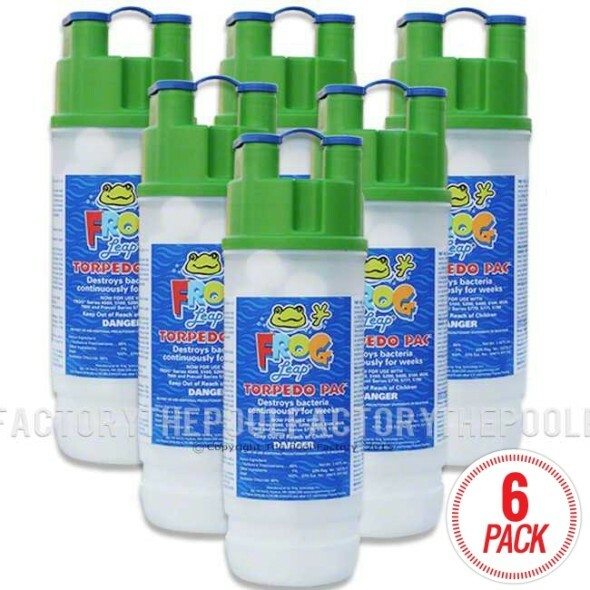 FROG Leap Torpedo Pacs come pre-filled with chlorine and easily inserts into the Anti-Bac Mineral Pac, dispensing low levels of chlorine for up to 3 weeks. 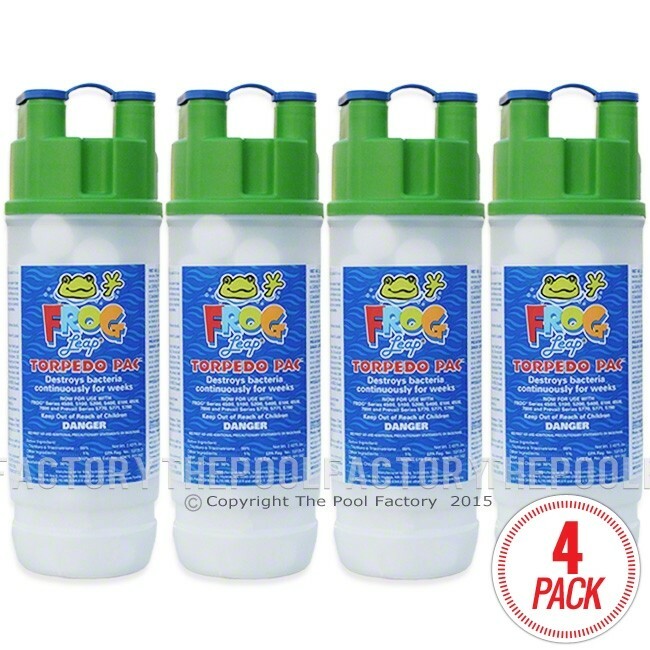 With precise feeding, chlorine lasts 2x longer as you only need a 0.5-1.0 ppm level.The handles on the Torpedo Pac are easy to remove and you will never have to touch messy chemicals again! How do you know when to change the torpedo pac? We suggest a weekly visual inspection. Depending on the size of your pool, the water temperature, and how many hours you run the pump each day, they usually last 1-3 weeks. Is the Leap Torpedo Pac compatible with the Pool Frog Classic System? 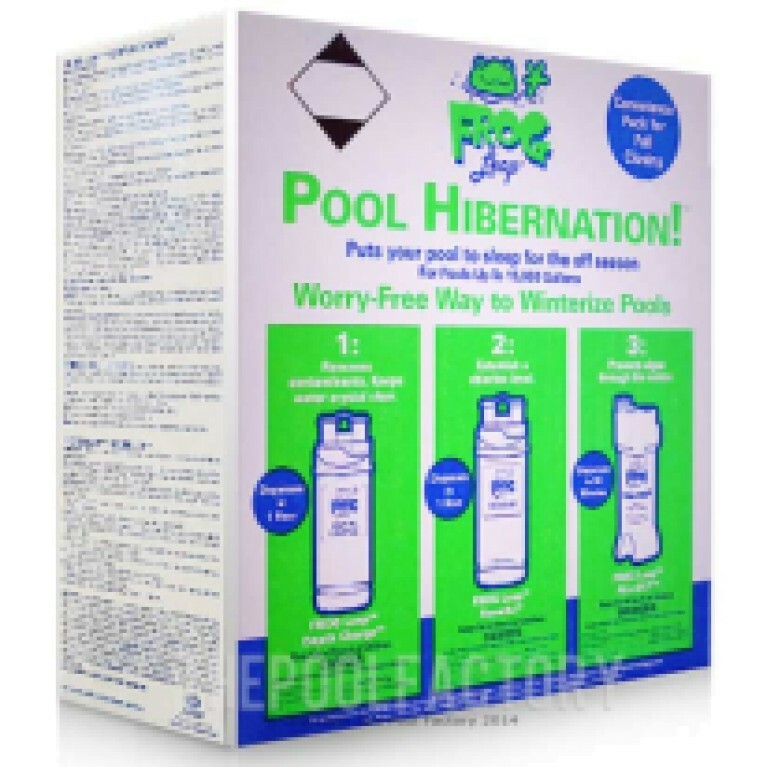 I also need a Pool Frog Leap Anti-Bac Mineral Pac for my system, where can i find that? 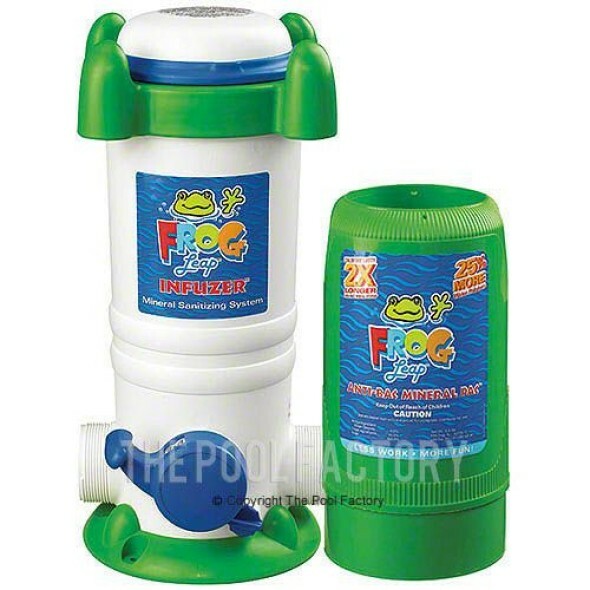 What model Frog Systems does this product fit? 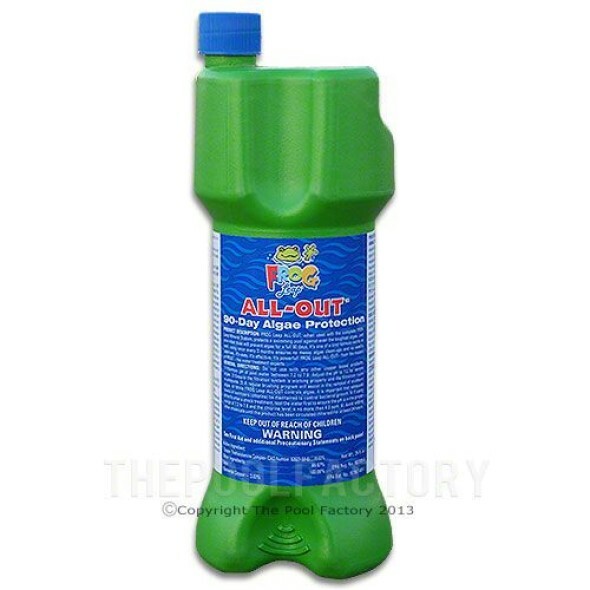 This product is intended for use in Frog Leap 7800, Pool Frog 5100, 5400, & 6100 systems.